In the South American jungle supplies of nitroglycerene are needed at a remote oil field. The oil company pays four men to deliver the supplies in two trucks. A tense rivallry develops between the two sets of drivers and on the rough remote roads the slightest jolt can result in death. CULT MOVIES 42 42. 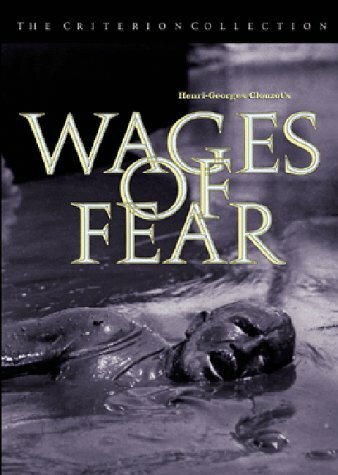 WAGES OF FEAR(french-italian-thriller, 1953) A young Corsican, Mario (Yves Montand), an aging Parisian, a German and a fatally ill Italian are stranded (penniless) in a backward South American village. Close to the edge of damnation they all desperately seek a way out. The owner of an American-based fuel company offers the men $2 000 to transport 2 truckloads of nitroglycerine over 300 treacherous-mountainous miles. Though the feat is wrought with various dangers, the men are desperate to get their money no matter what. Critique: This is regarded as the greatest suspense thriller ever made, and once you see it you'll probably agree. 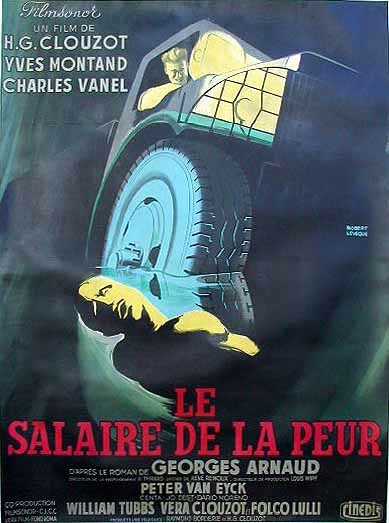 Director Henri-Georges Clouzot adapted the screenplay from a novel by Georges Arnaud, creating a totally realistic world full of poverty and despair. The people living in this wretched part of the world aren't fazed, however, as their spirits remain strong. The principal's efforts to rise above it all, though heroic, prove ultimately fatal. 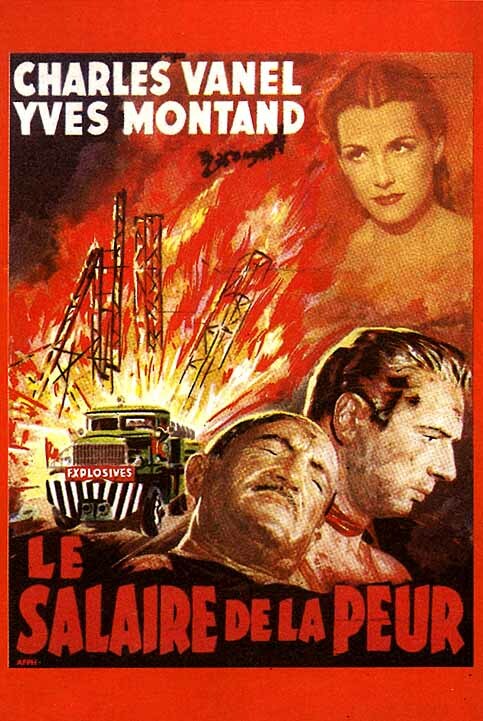 Clouzot creates a couple of tremendously unforgettable scenes: the men pushing their trucks over dilapidated bridges, across mountains, road, and an oil well. Like no other film since we feel the desperation and dismay the characters go through. 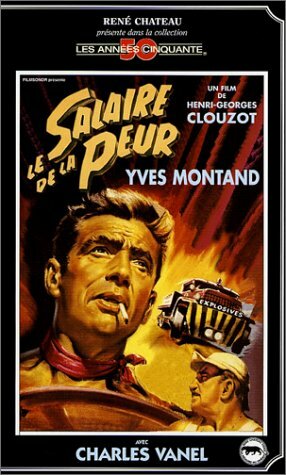 The ending is a bit of a letdown, further reinforcing Clouzot's theme of destiny's hand being played. QUOTE: Jo: "I'm trying to remember. The fence. . .what there was behind the fence. There's nothing!"